The running of the 121st Boston Marathon kicks off in a few hours. This race is one of the world's greatest feats. The 26.2 mile jaunt begins in Hopkinton, passes through Ashland, Framingham, Natick, Wellesley, Newton, Brookline and ends in Boston with a "right on Hereford and left on Boylston." Long distance running never has been, nor do I think it will ever be, one of my best athletic sports to take part in. 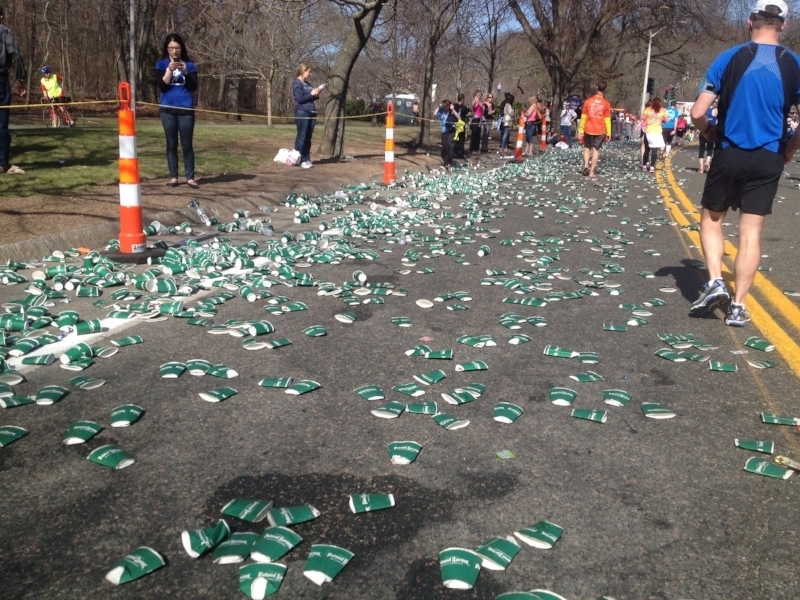 However, through the Girl Scouts of Eastern Massachusetts, I did complete the 2014 Boston Marathon. It was one of the greatest days of my life. The spirit of the crowd, the perseverance of injured spectators from the year before now turned marathoners, the famous Heartbreak Hill, passing the Citgo sign, seeing friends popping into the middle of the street to give you a hug, creative signs such as The Only Marathons I Do Are On Netflix, these are all things that helped me get to the finish line. Among the 30,000+ runners in this year's race, two names stand out for me. First, Kathrine Switzer is running 50 years after she first entered the marathon in 1967 under the name K.V. Switzer on the application. She knew it was the only way it would guarantee her a bib (261-which is now retired). Most of us have seen the video footage of the then race director trying to pull her off the course. Kathrine Switzer became a true symbol for women in sports. While the jury is still out as to whether or not I'll ever run another marathon, it was a wonderful life lesson in who I am and what I am able to accomplish. Want to learn more about the Boston Marathon or running in general?